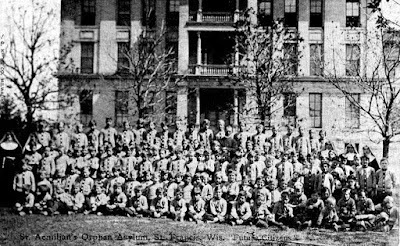 When German immigrant August Greulich arrived on the Wisconsin lakeshore near Milwaukee in 1842, he faced a heavily wooded landscape of scrub oak and tamarack. He stayed for the rest of his life, working as a farmer, newspaper editor, political office holder, philanthropist, and for much of his life, successful whiskey merchant. When he died Greulich left behind a thriving city of more than 200,000 souls. Shown right, Greulich (pronounced “groo-lick”) was born in 1813 on his father’s farm in Baden, Germany. Educated in local schools, he may have spent a period of time as an apprentice in a butcher shop. At 21, an age when many young Germans left their homeland, he emigrated to the American shores, landing in New York. He was recorded working as a butcher in Boston for nine months, then moving on to Buffalo and Cleveland, traveling ever westward. By 1836, August was in living in Detroit and running his own butcher shop. He found a wife there, Margaret Ann Alter, herself an immigrant from Baden, marrying her about 1837. Their first two children were born there, Cecelia Catherine and Andrew Francis. 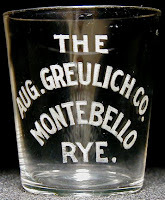 As a pioneer merchant in Detroit, Greulich began to recognize his leadership skills, became active in politics and was involved in passing the first Michigan constitution. It remains unclear why, after five years in Detroit, he decided to uproot his small family and move to even more primitive Wisconsin, still a territory on the Northwest Frontier. It may have been the prospect of cheap land, available for clearing and growing crops. 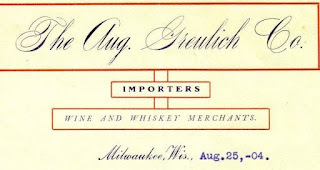 Gruelich tried farming south of Milwaukee for several years, likely find it grueling work and unrewarding. 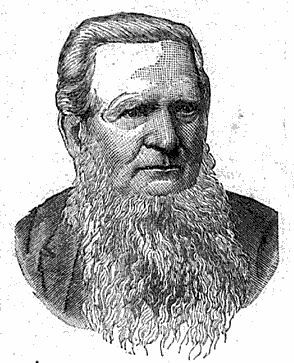 By 1845 he had left agriculture and with a partner opened a general store in Milwaukee. About the same time he joined one of Milwaukee’s volunteer fire companies, eventually rising to the position of foreman. This was a post elected by the volunteers himself and may have rekindled Greulich's political instincts. In 1848 he was elected from Milwaukee’s Second Ward as a legislator in the first Wisconsin legislature. This was only the first of his elective offices. In 1856 he was again elected to the State Assembly and in 1857 and 1858 was raised to the State Senate. In the meantime, August had abandoned mercantile pursuits in favor of buying an interest in the Seebote German-language newspaper. This move may have been dictated by Greulich’s political ambitions. Many of his constituents were German, as was he, and read German newspapers like the Seebote. 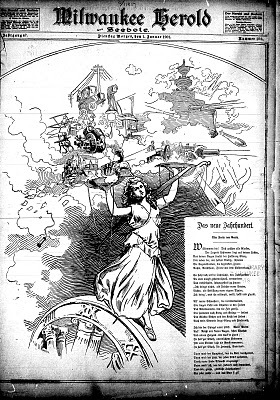 Oriented to the Democratic Party, to which August adhered, the paper was an important political tool. 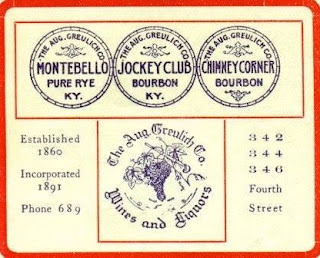 After buying a half interest in 1852, Greulich became the managing editor. By 1860 publishing a newspaper had lost its attraction and August turned his attention back to commerce. His general store had made him considerable money with alcohol sales as the major profit center. 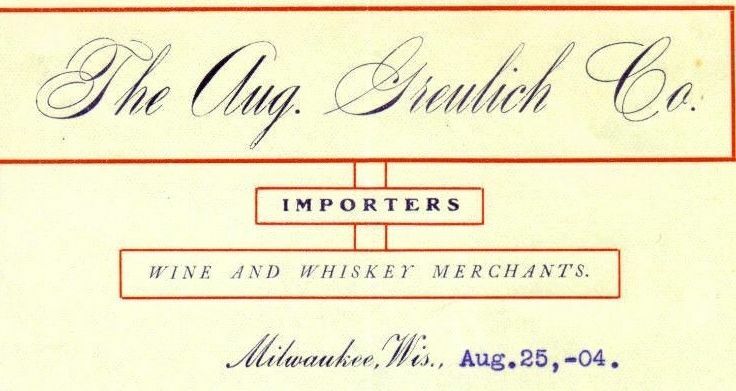 Taking with him as a partner his son-in-law, Julius Kersting, he bought out an existing Milwaukee liquor house, calling the new firm “The Aug. Greulich Co.” Its initial location was 341-345 Third Street, moving to 342-346 Fourth Street in 1867. 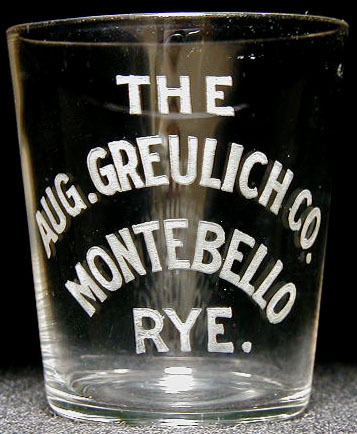 Even as he was building his liquor business, Greulich was continuing his political life. For more than a decade during the 1860s and 1870s he was elected to the Milwaukee City Council, where for a time he headed an investigation into corruption in City Hall. He also served as a member of the County Board of Supervisors and spent two years on the Milwaukee School Board. Greulich’s most enduring commitment was to the St. Emelianus Orphans Asylum, in the Milwaukee suburb of St. Francis, shown below. He served on the board of managers of the orphanage for 20 years and was a principal source of its financial support. In January 1893 at the age of 79 Greulich died in the home he had built for his family 45 years earlier. 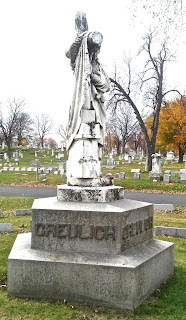 He was buried in Milwaukee’s Catholic Calvary Cemetery, Block 9, Row 141. August’s grave is marked with a large statue that appears to be Mary Magdalene mourning at the cross. Almost exactly two years later his wife, Margaret died and was interred next to him. 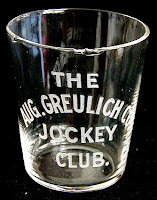 With Greulich’s death the liquor house underwent a management reshuffle. John Seiben, who had been brought in as a vice president in 1891, became president with Andrew Greulich as secretary-treasurer. 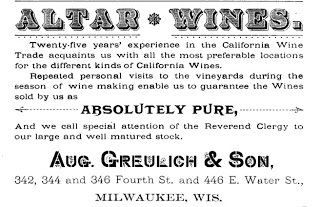 The last entry for the company in Milwaukee directories was 1908, well in advance of National Prohibition. Andrew Greulich died in 1912 and was buried in Calvary Cemetery not far from his parents. Who Blew Up Gotham’s Macy & Jenkins — and Why?